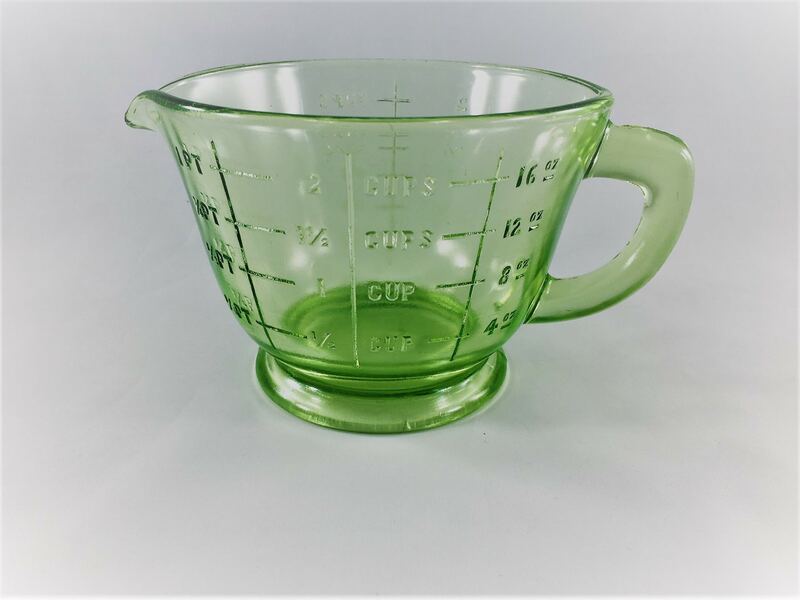 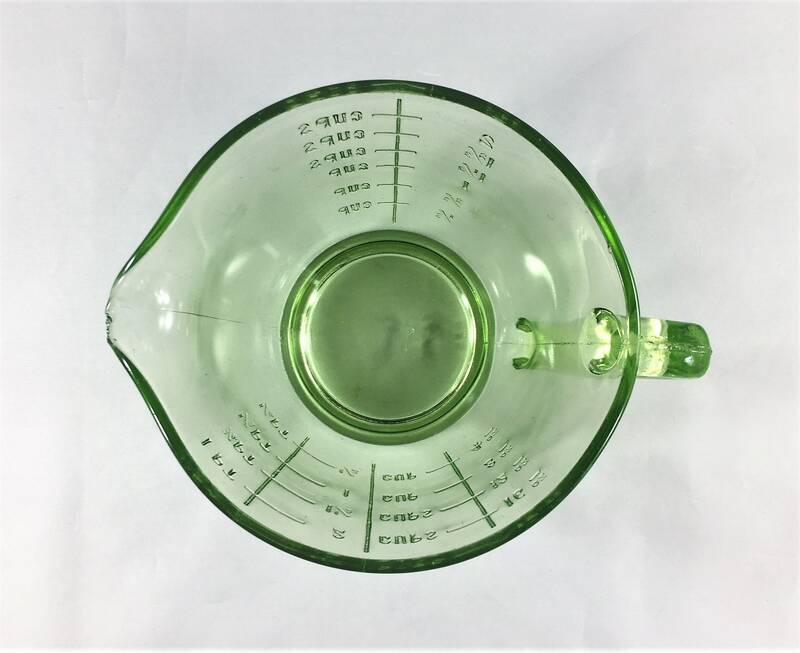 Featured is a wonderful green Depression Glass measuring cup. 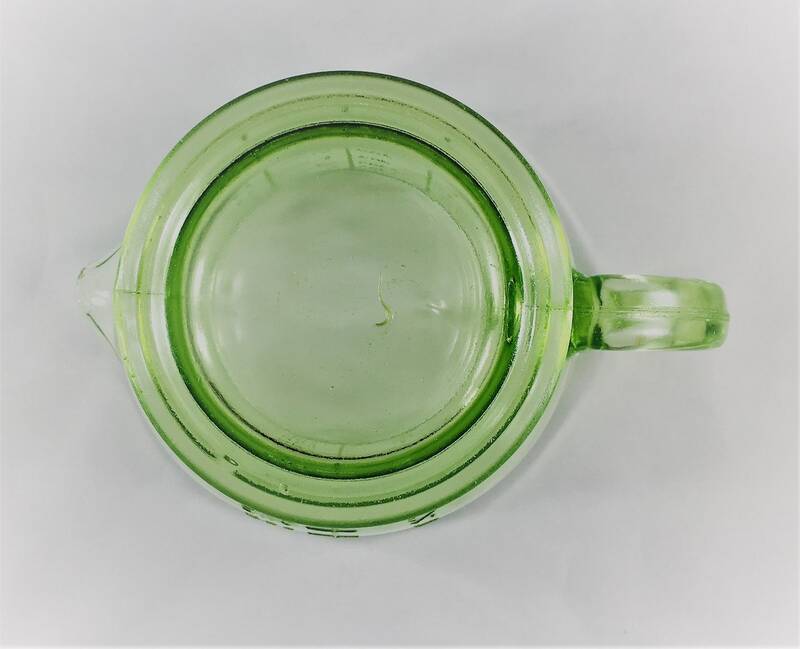 This unmarked piece has a 2-cup capacity and has graduated marks for cups, pints, and ounces. 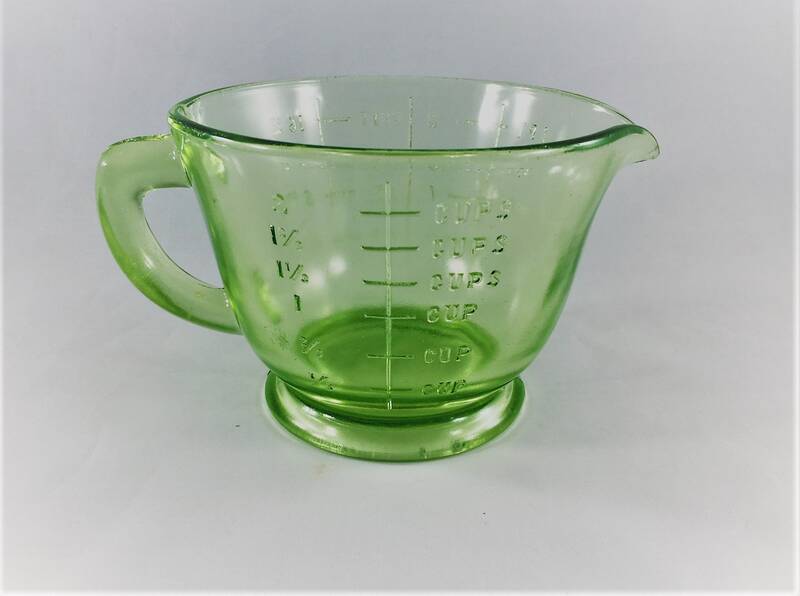 It's got a small chip to the spout, else in super vintage condition. 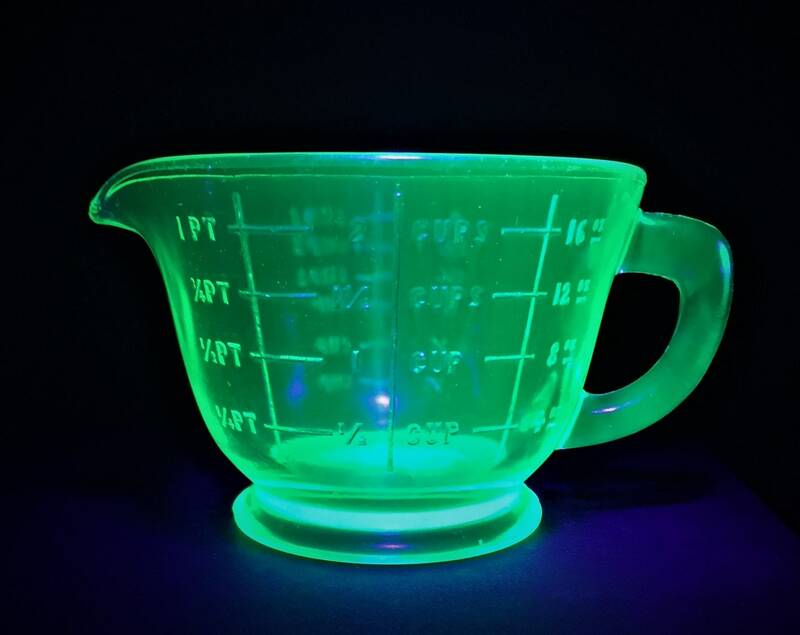 Wonderful glow under UV light (see photos). 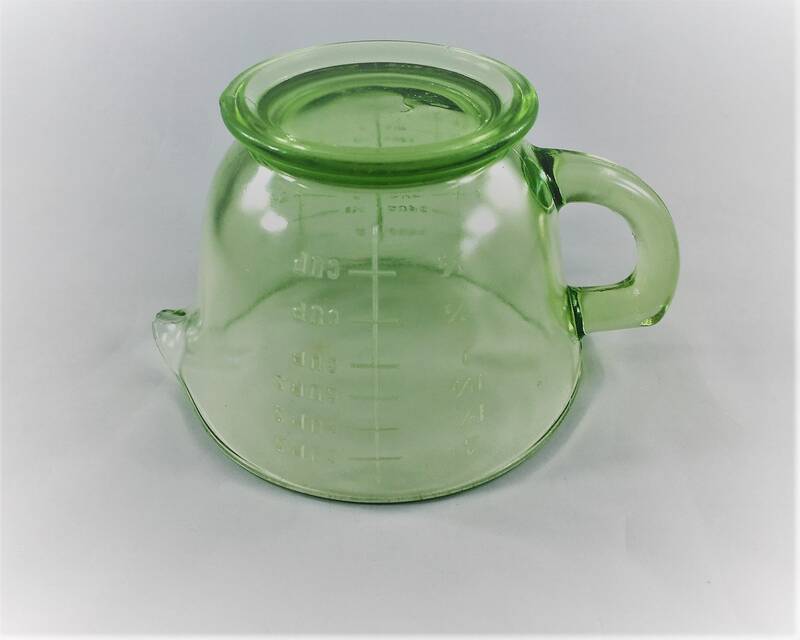 Measures about 3 3/4 inches tall and about 7 inches from handle to spout.